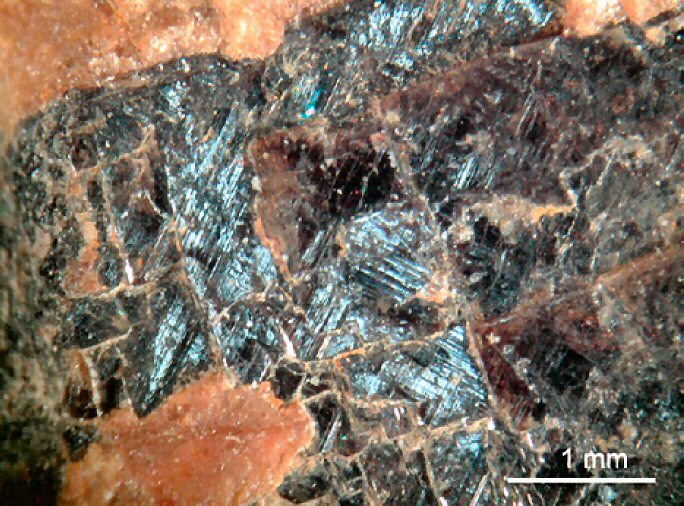 Comments: Polished section of an aggregate of minute iwashiroite-(Y) crystals. Some of the aggregates appear dark blue owing to internal reflections. Location: Suishoyama, Kawamata Town, Fukushima Prefecture, Japan. (Journal of Mineralogical and Petrological Sciences, v101:170).